Without stating the obvious requirements of daily life, each of us have different reasons to get out of bed in the mornings - our "why", our place in the world and the dreams and desires that make us tick. Don't you just love those days when you almost trip over your ambition with youthful enthusiasm on the way to the loo! Those mornings when you're bursting with ideas and the "to do" list has been building in your fast-drive brain since the wee hours. If you're an early-bird like me, those mornings hold a certain kind of magical anticipation of the glorious achievements the day might bring and not even the opportunity for a weekend lie-in or a cuppa in bed will keep you in the sack. My beloved can't understand it but in the end he's just grateful my fidgeting body and somewhat irritating chit-chat have vacated so he can get some peace. After the therapeutic routine of making coffee and seeing to the breakfast requirements of family and fur-babies, I sneak out to my happy place in the garden where life seems full of possibility and promise. There are times, however, when the enormity of what needs doing feels just a tad overwhelming and I'm not just talking about my gardening "to do" list. Over the past few weeks I've been keenly aware of some nagging desire to really find my "why". Maybe it's because I'm now closer to 50 than 40 (eeeek!) and without sounding dramatic there's this strange sense that time is running out! After raising two wonderful daughters as a very young mum and now enjoying a much more emotionally and financially secure marriage and being "an old mum" (as Olly so tactfully puts it), I find myself in the most fortunate position of not needing to work (as in, the paid variety). I am so incredibly grateful and blessed but with this comes a lack of clear purpose and I find myself feeling increasingly anxious about all the things I want to do but wonder how to begin. How do I be the best wife, parent, grandparent and friend I can be but also discover and dedicate precious time to the things that really matter to me. Those things that get me fired up with determination to make a difference somehow. My "why". On a day to day basis it's a well known fact in our household that I am notorious for trying to cram far too much into any given time-slot. The result is often this crazy, caffeine induced, highly determined, often late and somewhat irritating creature that feels like a deflated balloon at the end of said time-slot because she never gets "enough" done. 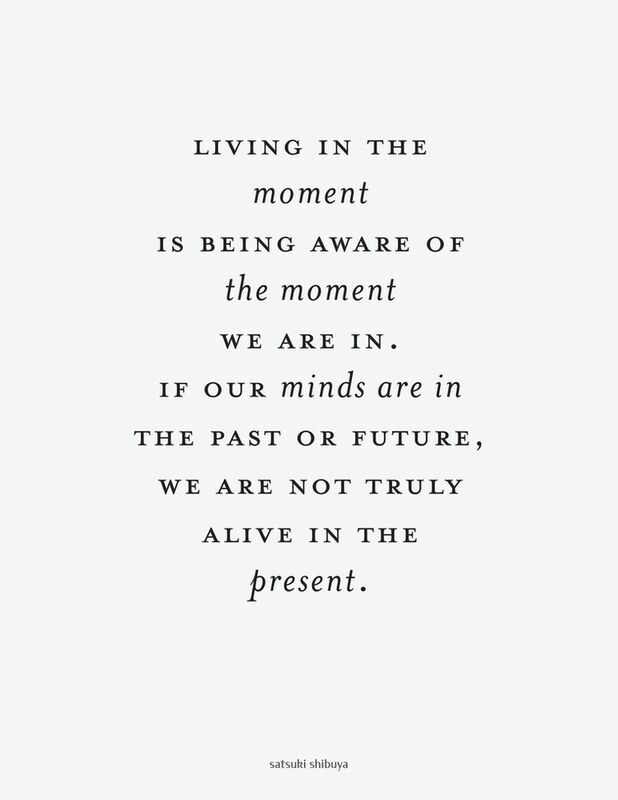 When I asked my beloved if he ever feels anxious about not being able to fit in "enough" or find a way to see all the places and have all the experiences he longs for, he simply said to me "just enjoy now - be in this moment". As I am the navel-gazer in the relationship I was not expecting this simple yet very powerful response and it's really hit home for me. I hope it's struck a chord with some of you in some small way and inspired you to just "pause and be" for that's all we can do in any given moment so that the decisions we make for the next moments, days, months and years are in line with our ambitions, dreams and desires. These moments become our "why". So, whatever it is that gets you out of bed in the morning - even if it is your daily grind (coffee pun intended) - embrace it, enjoy it and give your best self to it. You never know what the flow-on effect may be today or any other day. You might just help someone else have better moments too.